With Old Greenwood’s tranquil, natural setting, only one person was considered when it came to designing the golf course at Old Greenwood. Jack Nicklaus. His attention to detail and emphasis on designing a course that works in harmony with the natural landscape made him the perfect choice. With stately pines, beautiful Tahoe scenery and the design skill of Jack Nicklaus, the golf experience at Old Greenwood is sure to rival that of other Nicklaus masterpieces such as Muirfield Village, Sherwood Country Club, Castle Pines, Desert Mountain and Cabo del Sol to name but a few. The Nicklaus name has been honored and revered on fairways and greens worldwide for more than four decades. Known for golfing accomplishments such as winning 20 major championship titles and being named Golfer of the Century, Jack Nicklaus is now recognized as one of the preeminent golf course designers worldwide. Jack Nicklaus Signature Courses – a classification which denotes Jack’s personal attention – tops the charts for golf course real estate value. And several Nicklaus designs have been recognized for their excellence by being listed on both Golf Digest’s and Golfweek’s Top 100 lists. Peter Jacobsen knows golf. He’s been an active member of the PGA TOUR since 1977 and has earned six TOUR victories throughout his career. And together with former TOUR player Jim Hardy, Peter has designed a number of golf courses including The Oregon Golf Club near Portland, Oregon, Blackhorse Golf Club in Cypress, Texas and Moorpark Country Club in Moorpark, California. 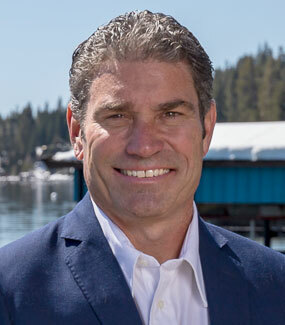 It’s Jacobsen’s wealth of knowledge and passion for the game of golf that led East West Partners to select him as Director of Golf for Tahoe Mountain Club (TMC). Jacobsen will oversee golf operations for TMC’s three championship golf courses in Truckee: Coyote Moon, designed by Sacramento native Brad Bell, Old Greenwood, a Jack Nicklaus Signature Golf Course, and Gray’s Crossing, to be designed by the Jacobsen-Hardy team. As an owner at Old Greenwood, you’ll have the opportunity to join the Tahoe Mountain Club. Membership includes privileges at The Jack Nicklaus Signature Course at Old Greenwood in addition to privileges at the stunning and completed Coyote Moon Golf Course and the planned Gray’s Crossing Golf Course. Together, these three outstanding courses will offer the premier Tahoe golf experience.